Congratulations to junior music performance major Thomas Snyder who has been named one of the co-winners of the 2017-18 Symphonic Wind Ensemble Concerto Competition. A saxophonist studying with Penn state professor David B. Stambler, he will play two movements of André Waignein’s Rhapsody for Alto Saxophone with the ensemble at an upcoming performance. From Sinking Spring, PA, Thomas is the son of Kelly and Kevin Snyder. 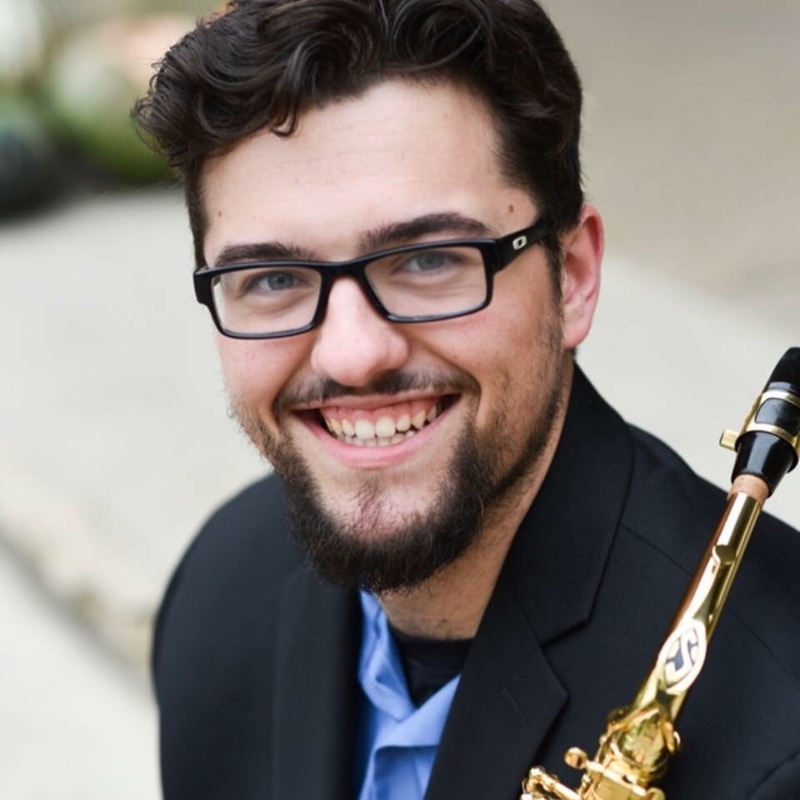 He is a member of the Symphonic Wind Ensemble and Saxophone Quartet at Penn State, and he also plays in the pit orchestra for “Singing Onstage” in State College. He achieved jury honors in fall 2016 and spring 2017, and was a finalist in the Phiharmonic Orchestra’s concerto competition in 2016. After graduation, Thomas intends to pursue graduate study in saxophone performance.